Recipient of eleven Emmys and three Golden Globe awards, it’s no wonder the world became obsessed with the rather large English manor of Downton Abbey and it’s delightful cast of “upstairs” Edwardian nobility and “downstairs” staff. 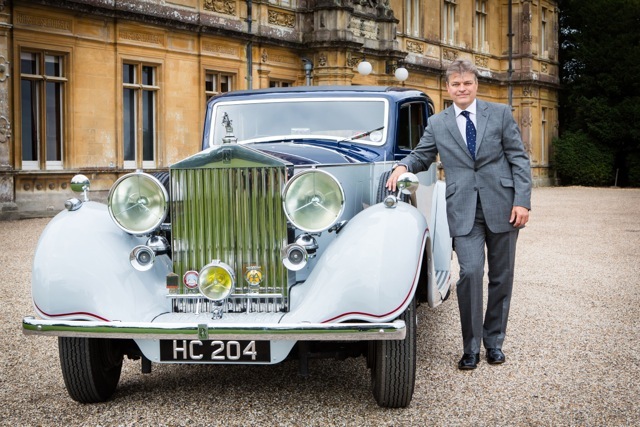 While the show is a work of fiction, it’s filmed at the stunning Highclere Castle in Newbury England and based on the Carnarvon families who have inhabited the castle since 1679! Downton Abbey the television series is home to the Crowleys consisting of Violet Crawley the Dowager Countess of Grantham played by Dame Maggie Smith and her family and staff including Robert Crawley the Earl of Grantham and his American wife Cora, Countess of Grantham. The couple has three daughters Lady Sybil, Lady Edith and Lady Mary (played by Jessica Brown Findlay, Laura Carmichael and Michelle Dockery respectively) and the big problem of holding onto a large house in the face of financial insecurities, wartime and modernization. 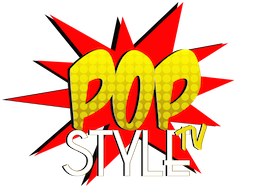 The show follows the triumphs and tribulations of not producing an heir and coping with change, not only for the family who lives there but also for their large staff of ladies maids, butlers, stewards, footmen, kitchen staff and many more. 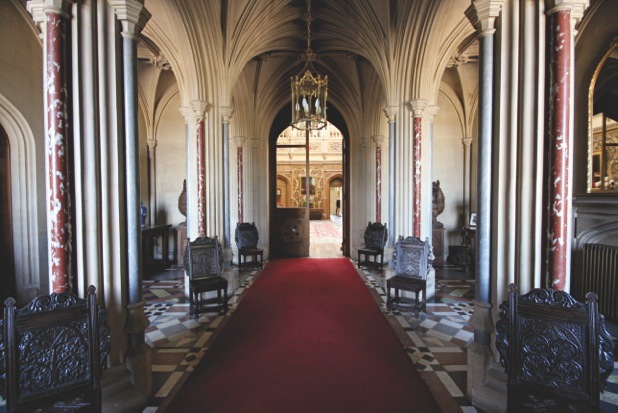 The real Highclere Castle has just as rich of a history as does it’s fictional counterpart. 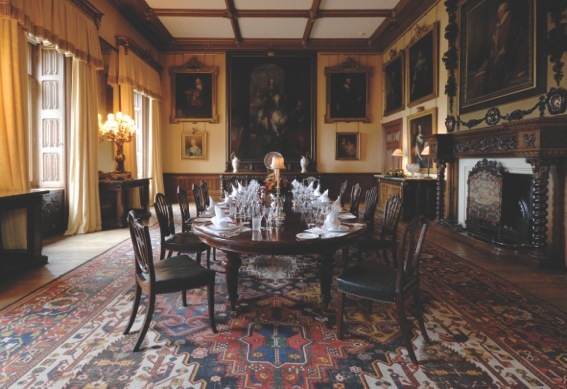 Highclere was designed by Sir Charles Barry (who also happens to be responsible for building the Houses of Parliament in Westminster) in 1842 on the site of a medical palace which was owned by the Bishops of Winchester for around 800 years. The house sits on over 1,000 acres filed with stunning gardens, beautiful parks and lakes and tons of sheep! The landscape was sculpted by Lancelot “Capability” Brown, already famous for his work on other magnificent country estates. Brown carved out lakes and “sunk fence” for a natural endless appeal granting visitors sight lines and also giving shelter and protection to his patrons, their livestock and their gardens. Creating gorgeous views from every angle, Brown took everything into account from the setting sun to the soft gradual color of the trees from pale greens to darker hues. 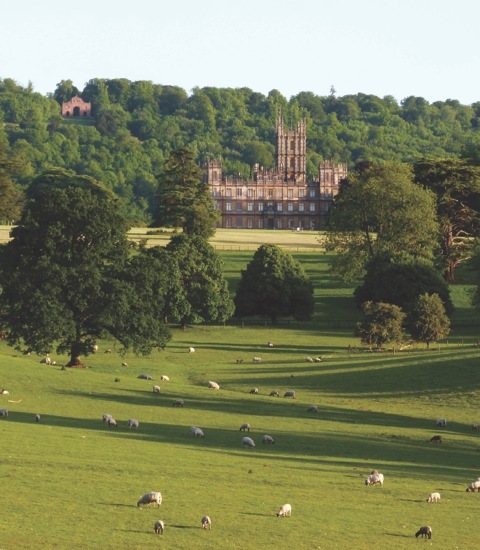 The BBC’s Downton Abbey highlights the beautiful grounds at Highclere, but does mainly focus on the house. “In Downton you see much of the inside life. I think at the real Highclere we spend quite a lot of our life outside and the world of Highclere is far bigger than that of Downton even today. There’s various joiners, electricians and plumbers working in all the buildings behind….there’s a team of gardeners, all Geordie’s farm people… We’ve just started working our way up to the tower, decorating the inside of it. We’ve hand blocked some beautiful Charles Barry/Pugin esque wallpaper to go up the tower and it’s moments like that that I feel really lucky, really proud of what Geordie and I have done in the really 10 or 12 years that we’ve been here,” Lady Fiona Carnarvon explains while giving us a glimpse into her life. In both real life and on television, the grounds provided a place for enjoyment be it a casual stroll or a day hunting as well as a nice change of scenery for a delightful meal. The house however is equally as grand with 12 bedrooms on the first floor and another 40+ rooms on the second and third floors. 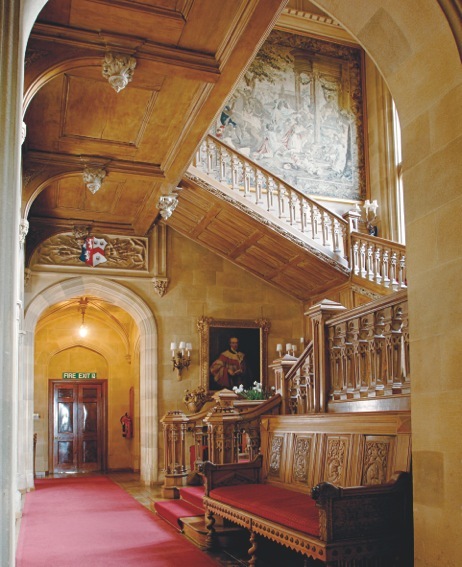 With two grand main staircases including the great oak staircase which fills the tall Italianate tower. This magnificent staircase took almost a year to be carved and finally installed in October of 1862. “When I first came here for a weekend I had no idea obviously that I’d end up marrying Geordie…” Fiona recalls. “When I first met Geordie his father was very much alive it was his castle so until one earl dies the next earl’s not there. Although Geordie was in partnership with his father in terms of the farm. They had opened up the castle to public in 1988 and Geordie was already trying to look after the cottages and the park and trying to make some sense of what his grandfather had passed him.” Fiona explains. Geordie’s partnership is also translated in Downton Abbey between Lord Grantham and his son-in-law and heir, Mathew. Again the timing is a bit off, but the inspiration is still spot on. Both Fiona and Geordie understand the importance of preserving not just the estate but also the rich history of Highclere and you can tell from their respect of the house and grounds how much of an honor it truly is. “It is an older world and it does give me that sense. I drive through the gates of the park and I never ever get tired of the privilege of driving through the gates and feeling that I’m a world apart…” Fiona shares. Expressing their love of the property and it’s rich heritage, they share how important it is to enjoy the house and gardens but also to tell the stories and continue the work first put in place generations before them.